Your body deserves a nice therapeutic massage once in a while. Whether you are on vacation or at your nearby dayspa, there are various massages you can choose from. 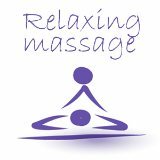 We recommend Massage Envy where they offer sessions ranging from 1-2 hours at special introductory prices. Find your nearest location. Epsom Salt USP Grade, non-scented. Revive - an uplifting citrus scent. 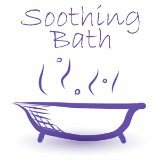 Relax - scented with lavender essential oils. Muscle Soak - scented with a eucalyptus and peppermint essential oil blend. Why Epsom Salt After Deep Tissue Massage? Taking a warm bath in Epsom salt offers health benefits that have led many people to make soaking in the tub a regular and relaxing routine. Epsom salt is made up of the compound magnesium sulfate. “Epsom salt” got its name because one of the earliest discoveries of magnesium sulfate took place in Epsom, England. Magnesium and sulfate individually play essential roles in the way in which bodies function. Magnesium is important in that it helps keep enzyme activity regular in the body and helps keep bodily functions running smoothly, including some of the pathways that lead toxins right out of the body. Sulfate also plays an important role in the way in which the body works in the formation of brain tissue and joint proteins. Sulfate helps to strengthen the walls of the digestive tract so that it better releases toxins. As a compound, magnesium sulfate raises the amount of digestive enzymes in the pancreas. The compound also helps in purifying and detoxifying the body of heavy metals. Taking an Epsom salt bath helps restore levels of magnesium and sulfate in the system because this compound can be absorbed through the skin. It is oftentimes recommended to soak three times per week for about 12 to 15 minutes. Epsom salt can be found in most stores and pharmacies near the first aid supplies. A common formula is to add a cup or two of Epsom salt to warm water in a standard-size bathtub; more salt is not necessarily better. If one prefers a hot, steaming bath, recognize that it is not benefitting the skin. The water used in an Epsom salt bath should be warm, not hot. Tepid water is best for the skin because it does not strip away as much protective oil. Before getting into the bath, make sure that all of the salt has dissolved so that it can be more easily absorbed into the skin. Any salt that has not dissolved in the water may dry on the skin as an opaque white powder. Excess salt should be harmless and is easily rinsed off. Taking Epsom salt baths regularly may help keep skin soft, but the key is to remember to rinse away any salt that is left on the skin after the bath. To keep skin moisturized, use warm water in the tub and limit the time in the water because too much water or heat can take away the moisturizing oils found in the skin. Pat dry the skin after exiting the bath, and applying moisturizer after a soak is always suggested. Despite the benefits, Epsom salt baths are not for everyone. They generally are not recommended for people who have conditions such as heart problems, high blood pressure, or diabetes. Consult a doctor first if any questions arise.